Austrian beers are almost like German beers, although there are more variations because of the Reinheitsgebot. „The what? !” you may ask if you don’t speak a word of German. The Reinheitsgebot is also known as the German Beer Purity Law. It’s a series of regulations limiting the ingredients of beers in Germany (and other former states of the Holy Roman Empire). 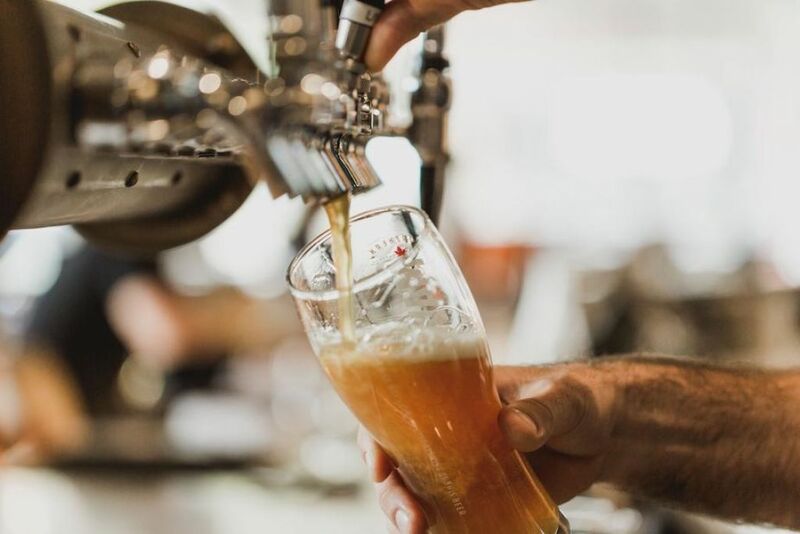 It has some strict rules, but just for German beers, so Austrian brewers had more options of ingredients to make beer from – that’s how a lot of huge breweries could make wheat beers, stouts and many other types. The most popular brands are Gösser, Bevog and Schloss, but Ottakringer is very famous too. Slovakia was once part of the Czech Republic (Czechoslovakia to be exact), and it became an independent country only a few years ago, so it definitely has some beer culture from its bigger neighbour. It has a lot of famous beers like Zlatý Bažant or Urpiner, but the most famous brand in the country is Corgoň, as it was also the name of the Slovakian Football League from 2003 to 2014. Well, it’s not exactly a neighbour country, but this one can’t miss from this list! Czech beer (or as they call it: pivo) is truly legendary not just in Europe but worldwide. First of all, it has a serious history of brewing, with memories from the year 993 and way before that - a lot of countries didn’t even exist back then, so that’s definitely something! The most common type there is pilsner, which can be a familiar word from the famous brand Pilsner Urquell, probably the most famous beer of the Czech Republic. Budweiser Budvar (or Czechvar in some countries) is also very popular, but beer flows in various forms in this country. There is a lot to explore: different colours, tastes, bigger and smaller, old and new breweries everywhere you go!